Drivers in the market for a used luxury vehicle are definitely in the right place. Certified Autoplex is the place to go when you’re looking for a trustworthy dealership that offers dependable, well-priced vehicles. Here at Certified Autoplex, we put our customers first. Each and every vehicle on our lot is carefully inspected upon arrival. A majority of our inventory comes with a lifetime powertrain warranty as well. In order to make sure these vehicles are up to our standards, they got through an intense reconditioning process so drivers can rest assured knowing they’re driving away in a reliable vehicle. 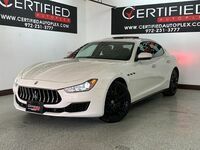 One of our more popular vehicle brands on the lot is Maserati. Maserati is a well-known luxury brand that offers a lineup of sedans, coupes, convertibles and crossovers. 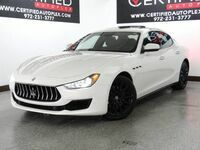 As of right now, there is a Maserati Ghibli and a Quattroporte, but our inventory is constantly changing and adjusting. Why drive a used Maserati? Those drivers looking for a vehicle that is fast, exciting and fun-to-drive will definitely take a liking to the Maserati lineup. These luxury vehicles have it all - whether we’re talking about the performance capabilities or the available features, these vehicles are sure to impress. The Maserati Ghibli is one of the more traditional models on the lineup. Drivers in search of a luxury sedan that combines style, comfort and performance are sure to find what they’re looking for in the Ghibli. One perk about us here at Certified Autoplex is that most of our vehicles are just a few years old, so technology is abundant. 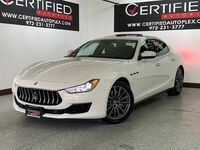 Navigation systems are available on most newer Maserati models as well as heated seats, keyless entry and rear parking aids. More information regarding the used vehicles on our lot can be obtained by contacting our team here at Certified Autoplex. Drivers are welcome to schedule a test drive online or stop in and get behind the wheel. Our entire inventory can be viewed online as well. Interested in a Used Maserati Models?